In our last house, I enjoyed the use of 2 fabulous fridges and 2 great ovens. In this house, I do not have that same luxury. So, unfortunately, some of my green beans froze in the fridge. 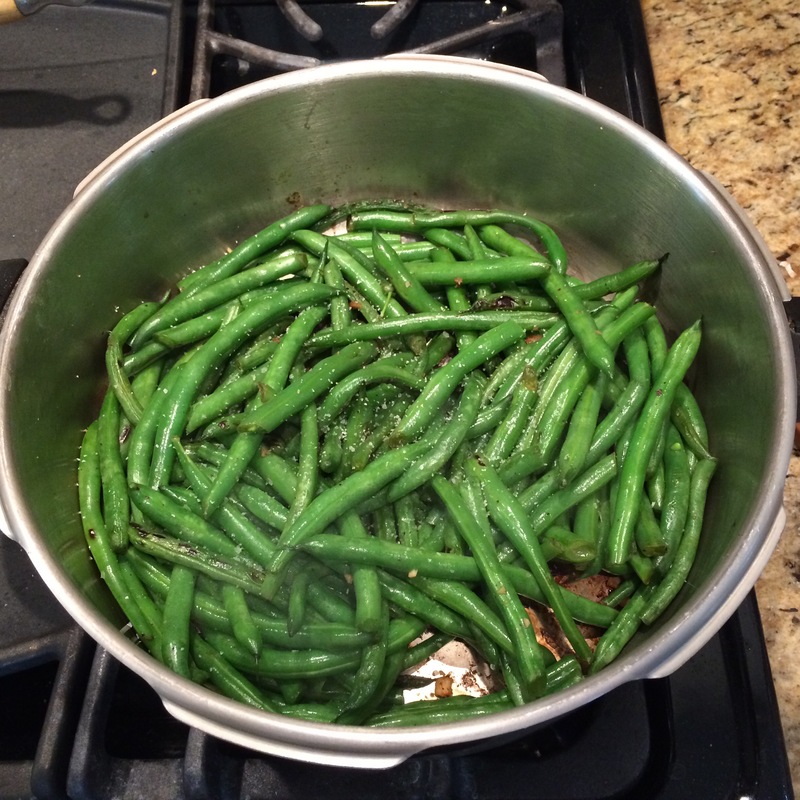 In order to rescue the green beans, I pan roasted rather than steaming them. This is made similar to the cauliflower, that I already posted. I find pan roasting even more flavorful than steaming and something a little different. It was fast and easy and only required one pan to clean. Optional tamari or soy sauce. I did not use this in order to keep the sodium level lower. Spray oil the pan and add the green beans. Sauté until beginning to soften. Then, add salt and pepper to taste. Begin cooking with a medium to high heat. Then, add water as necessary to avoid burning the green beans and garlic. If desired, add soy sauce, tamari and crushed fresh garlic. Sauté until desired texture. It came out great! No one noticed that some of the beans had been frozen. Check out my Curries in a Hurry in my cookbook Feast of India: A Legacy of Recipes and Fables. 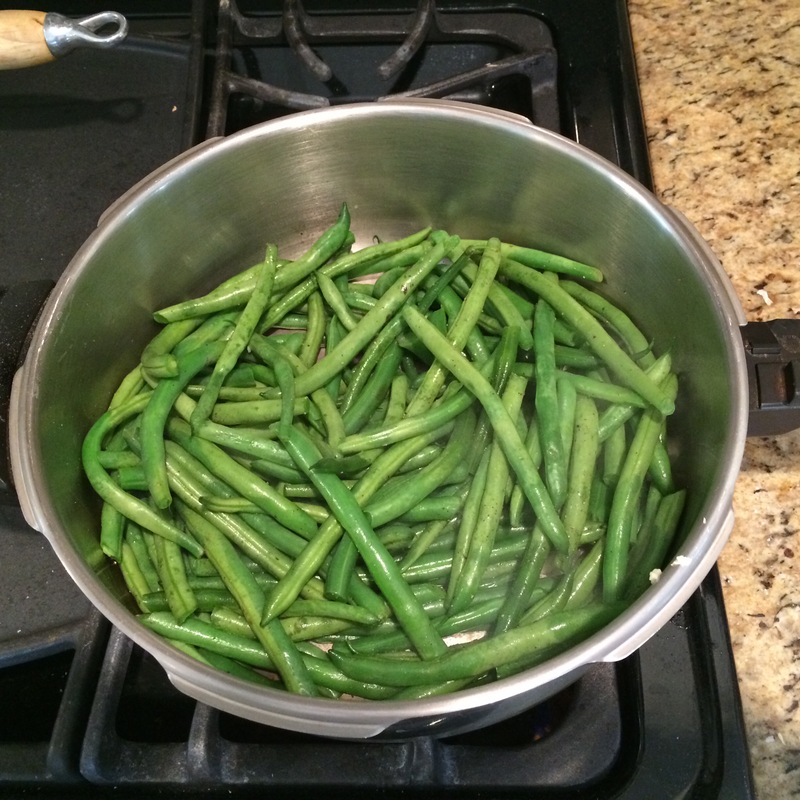 I usually cook frozen green beans in a wok, stir-fried style, with garlic and soy sauce too. Delicious combo. The fresh garden beans we grow, however, I tend to add to stews, or simply boil or steam. Me too. Frozen beans to me have less flavor and need more seasoning. I was happy that I could rescue them. I just picked green beans from a garden on Friday. I’m going to try your pan roasting way of cooking. Sounds yum. Garden fresh green beans sounds awesome! Nothing beats that. Enjoy! Very nice. My husband taught me to dry roast frozen vegetables. I grew up drowning them in water. They are so much tastier pan roasted! Dry roasting sounds really good! Frozen vegetables release a lot of water. I love roasted vegetables too. These are a perfect dinner side…lovely beans!!! Thank you! It’s easy but still has a touch of gourmet. That sounds amazing! Do you toast the coconut? Plus, how do you grate it? Lastly, how much? I am trying to figure out if it’s only to garnish? I have never heard of adding coconut before. Thank you! By looking at them you can’t even tell they had been frozen either!